As ABMS and the F1 Insider learned, Mick Schumacher drives the Alfa Romeo at the Young Driver Tests in Bahrain. There were rumors since the beginning of the year; now it is clear. According to information that ABMS and the F1 Insider received, Mick Schumacher rides the Alfa Romeo Ferrari as part of “Young Driver Tests” on Tuesday and Wednesday (02/03 April) after the Bahrain Grand Prix. An official confirmation is still pending, but “Schumi Junior” will be on site anyway for his first race in Formula 2 (620 hp) as part of the F1 Grand Prix program. As a Ferrari Junior Pilot, he is also a prime candidate for a Formula 1 test. Just a few days ago, Alfa team principal Frederik Vasseur confirmed that Mick was eligible for testing. 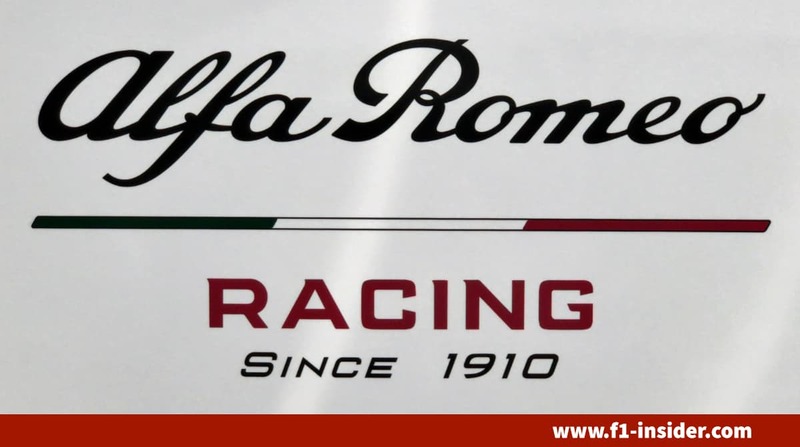 Alfa Romeo drives with Ferrari engines, the brand “Alfa Romeo” belongs to the FIAT company. So it’s only natural that a Ferrari Academy junior pilot is eligible to test drive the partner teams’ cars. Thanks to his European Championship title in Formula 3, Schumi Jr. even the necessary points for the Formula 1 driver’s license, the “Super Licence.” According to regulations, the teams are required to have a junior test driver test on two of the four days of testing, which take place during the season. The second test takes place after the Spanish Grand Prix in Barcelona. It will be the second time in a Formula 1 car for Mick Schumacher. In 2017 he was already able to pilot the Benetton B194 from 1994, with which his father Michael won his first world title. 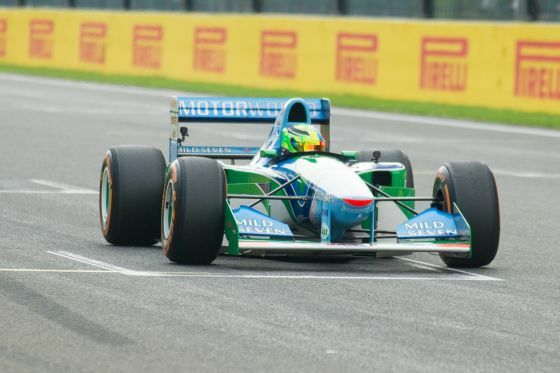 Noteworthy, the Benetton Ford had but just over 700 hp, in comparison today’s Formula 1 cars have about 1000 hp. That his first test will be an emotional experience is guaranteed. There are plenty of parallels to his father’s early days. Today, the team might be called Alfa Romeo, but under the hood is the former Sauber team for which Michael Schumacher drove in 1990/01 ​​in Group C in a Sauber-Mercedes. In 1997, Michael even drove a Sauber Ferrari F1 at Ferrari’s home circuit in Fiorano to support the team in their development program of the car.